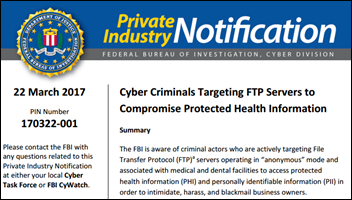 The FBI’s Cyber Division warns medical and dental facilities that hackers are launching cyberattacks by exploiting FTP servers that have been configured to allow anonymous access. The alert cited a 2015 University of Michigan review called “FTP: The Forgotten Cloud” that warned of security flaws in the nearly 50-year-old protocol and the 1 million FTP servers that are not password protected. From Jelly Roll: “Re: Qventus expanding to the periop environment. 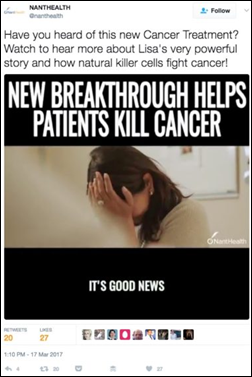 That’s kind of BS since the company started in periop when they were AnalyticsMD. They didn’t get much traction, so they explored the ED and other areas and are now making this announcement to get some press after raising a bunch of capital. Read some of their early blog posts – they talk about OR solutions and exhibited at periop-oriented conferences three years ago.” I pulled up a cached copy of AnalyticsMD.com from 2013 and they were talking about OR deployment then, along with “in-patient wards” (that’s almost as bad as the health IT site whose young reporter creatively but incorrectly expanded the press release’s term “OR” into “operative room.”) Qventus raised $13 million in November 2016. I’m enjoying the upbeat stories being sent in my “Proudest Moment” survey. It’s good to occasionally take a break from never-ending pressure and negativity and reflect on the big-picture positive work we do. Some of the reports I’ve received (and will list in Monday’s HIStalk) are moving. What’s going to be on your HIT career tombstone? March 29 (Wednesday) 1:00 ET. “Improving patient outcomes with smartphones: UW Medicine Valley Medical Center’s story.” Sponsored by Voalte. Presenters: James Jones, MBA, MSN, VP of patient care services and nursing operations, UW Medicine Valley Medical Center; Wayne Manuel, MBA, SVP of strategic services, UW Medicine Valley Medical Center. UW Medicine Valley Medical Center dramatically improved patient outcomes after moving to a smartphone-based platform for clinical communication and alarm and alert notification. Before-and-after analysis shows a reduction in hospital-acquired pressure ulcers and skin integrity events, fall and slip events, and medication errors. By limiting overhead paging, the medical center also created a calmer, quieter environment and improved engagement among nursing and hospitalists. Hospital executives will describe their experience and vision for the future in addressing quality, cost, and the patient-caregiver experience. Tesla and SpaceX founder Elon Musk forms Neuralink, which will develop an implantable brain-computer interface. The US Supreme Court is reviewing whether church-affiliated health systems are exempt from federal laws that protect employee pensions. Advocate Health Care says it shouldn’t have to follow ERISA laws that require its pension plan to be funded and insured, saying it could owe billions of dollars in retroactive penalties if the court says it intentionally disobeyed the law. 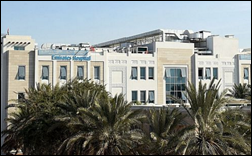 UAE-based Emirates Hospital Group will implement InterSystems TrackCare in all its facilities. Ries Robinson, MD (Medici Technologies) joins Presbyterian Healthcare Services (NM) as SVP/chief innovation officer. Spok hires Mike Wallace (Intermedix) as CFO. Real-time patient safety solution vendor Bernoulli hires as consultants Neil Halpern, MD (Memorial Sloan Kettering Cancer Center) and Amar Setty, MD (AnesthesiaStat). Modern Healthcare’s health IT writer Joe Conn, who is a rarity in actually understanding the topic he covers, retires. I trusted what he wrote and admire that he didn’t let his ego interfere with his reporting. Chris Edwards (Validic) joins Conversa Health as chief marketing and experience officer. Weber State University (UT) honors Associate Professor of Computer Science Richard Fry, PhD with its faculty and staff award. His accomplishments include a long career in the Air Force, developing technology to help orphaned children in Thailand learn English, converting paper medical records into an EHR in Ghana, developing an open source web application to help New Zealand document the lack of health services in rural communities, and creating an order queuing system for a local Air Force base to support its special needs employees. Don Fisher, PhD, president and CEO of the American Group Medical Association since 1980, dies of cancer at 71. 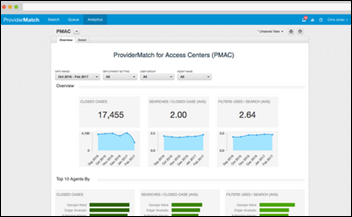 Kyruus releases a new version of its ProviderMatch Analytics that helps health systems track patient access channel trends and optimize their provider networks. Cerner and Nevada, MO will launch a county-wide prescription drug monitoring program as part of their Healthy Nevada program, trying to fill the gap left by the clueless Missouri state government that keeps finding excuses to remain the only state that can’t muster enough consensus to launch its own program. 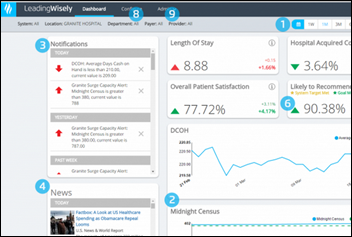 Health Catalyst launches Leading Wisely, an executive decision support system. Allscripts will resell abstracting and physician query solutions from Streamline Health Solutions. Days after President Trump declared that he was moving on to other priorities and leaving the Affordable Care Act intact after failing to win enough votes to repeal it, the White House and House Republican leaders have restarted negotiations. “We are going to work together,” declared House Speaker Paul Ryan (R-WI), with “we” being his fellow Republicans alarmed at the President’s hint that he might actually get some Democrats involved after his party failed to support him in sufficient numbers. 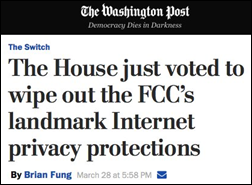 House Republicans vote to eliminate privacy rules imposed by the FCC last year, allowing broadband providers to sell the browsing data of their customers without asking permission. All that remains is for the law to be signed by President Trump, who indicates he will do so. A Kentucky chiropractic practice notifies 5,000 patients that its systems were attacked by ransomware. Urology Austin (TX) notifies 280,000 patients of a ransomware attack. A study finds that 40 percent of used electronic devices listed for sale contain still-readable personal information. Med Center Health (KY) says a former employee obtained the billing information of 160,000 patients in 2014-2015. Washington University School of Medicine in St. Louis notifies an unstated number of patients that their information was exposed by employees who fell for a phishing scam. 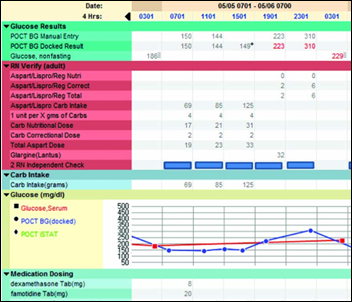 UCSF’s virtual glucose management service – in which diabetes specialists remotely review abnormal glucose lab values and make recommendations as an Epic care note – reduced the number of hyperglycemic patients by 39 percent and the number of severe hypoglycemic events from 40 to 15. 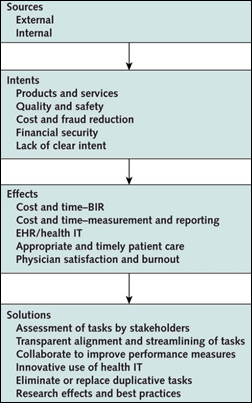 An American College of Physicians position paper says doctors are overloaded with administrative responsibilities, one of them being EHRs that were designed for patient care but that have been co-opted for non-clinical purposes to the point that EHR vendors have little time left to improve their patient care capability. ACP recommends that EHRs support the “write once, reuse many times” philosophy; embed tags to show where information originated; and allow clinicians to search available data when writing notes and allow them to link to it or copy/paste using tags. It also suggests that stakeholders use the same data elements and reporting formats, that clinical decision support replace non-real time data exchange such as prior authorization, and that agencies used shared registries to query for whatever information they need. Pharma data technology companies QuintilesIMS and Veeva sue each other over the use of prescriber databases for drug marketing. Veeva says QuintilesIMS is engaging in anti-competitive practices by refusing to let Veeva customers load QuintilesIMS data into its network, while QuintilesIMS says it won’t provide the information because Veeva won’t guarantee that it will be protected following reports of unauthorized access. The Supreme Court hears a class action lawsuit brought against SAIC (now Leidos) by six retirement and pension funds for “the single largest fraud ever perpetrated on the city of New York.” Leidos says it has improved compliance efforts and noted its successful DoD EHR bid in defending SAIC’s performance in developing a city payroll system that was budgeted at $63 million that ended up costing $760 million and that resulted in long prison stretches for three consulting firm employees. SAIC paid $500 million to avoid federal prosecution, sending shares down and triggering the investor lawsuit that claims the company misstated information in its SEC filings. Two second-year Mass General internal medicine residents die in an avalanche in Canada. Lauren Zeitels earned a MPhil in medical genetics at University of Cambridge and an MD/PhD in human genetics from Johns Hopkins and planned to purse a career in rheumatology. Cornell graduate Victor Federov, MD, PhD hoped to specialize in hematology-oncology. Late-breaking April 1 news from an obviously tyred Weird News Andy, with whom I’ll need to have a natter: Cerner changes the name of its British Isles operation to Cernre to better reflect traditional UK spelling habits. "Having Cerner spelled one way and Centre spelled the other confused many people when they came to front door of our building in London. With this change, we believe we will blend in with the local flavour," according to a spokesperson from Cernre. DrFirst wins two awards for its company culture and employee-centric work environment. Spok will present and exhibit at the Becker’s Hospital Review 8th Annual Meeting April 17-20. Aprima and Healthwise will exhibit at the ACP Internal Medicine Meeting March 30-April 1 in San Diego. Arcadia Healthcare Solutions will exhibit at the NAACOS 2017 Spring Conference April 5 in Baltimore. Besler Consulting will exhibit at the Hudson Valley HFMA Annual Institute April 6 in Tarrytown, NY. CompuGroup Medical will exhibit at the COLA Annual Symposium April 5-8 in Las Vegas. CoverMyMeds will exhibit at Computer-Rx Idea Exchange 2017 March 31-April 1 in Oklahoma City. Direct Consulting Associates will exhibit at the Central & Southern Ohio HIMSS Springs Conference April 5 in Dublin. ECG Management Consultants will present at the 2017 ACHE Congress March 29 in Chicago. Elsevier Clinical Solutions announces a reseller agreement with PolicyMedical. EClinicalWorks will exhibit at the Pediatric Urgent Care Conference March 30-31 in New Orleans. FormFast will exhibit at ANIA 2017 March 30-31 in New Orleans. ACP paper – I don’t know that providers will ever be able to come to a consensus on how they want to document. 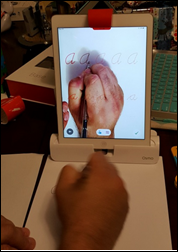 Some wanted their documentation to look like the paper forms they used to use – so EMRs created templates with check boxes and text boxes; some wouldn’t use a mouse so they wanted just text boxes to dictate. I feel like there would be a ton of pushback on the ACP’s recommendation for pulling forward data with tags indicating where the information came from. In the instance where you have a lot of content pulling forward, the onus would be on the provider to review all of that information and track down each referenced tag, leading to more review than documenting. I don’t know that there’s a silver bullet in documentation, but I think instead, we should get smarter on our reporting so that we can accommodate multiple documentation styles and still pull the necessary data from the clinical notes.